A two-year major in the opportunity-rich field of concrete science technology will be offered at Pennsylvania College of Technology. A two-year major in the opportunity-rich field of concrete science technology will be offered at Pennsylvania College of Technology — the only program of its kind on the East Coast — beginning in the fall 2018 semester. 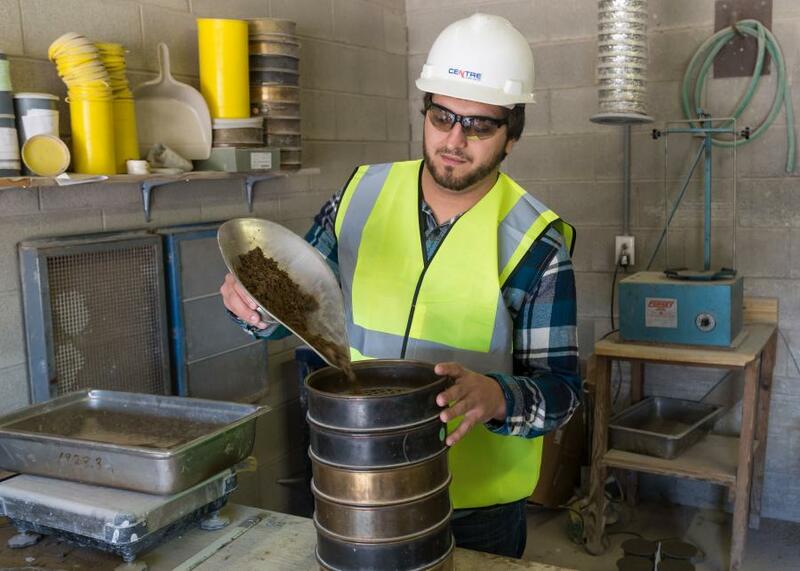 The new associate degree, to be available through the college's School of Construction & Design Technologies, will prepare students to succeed in the production and analytical evaluation of concrete, as well as the applications, aggregate selection, and admixture techniques and products specific to the concrete industry. The major has its roots in the expertise and foresight of Franklin H. Reber, instructor in building construction technology, who discussed it with industry colleagues with the state association and at the World of Concrete trade show in Las Vegas. Advisory committees, which act as recommending bodies to faculty and administration, are comprised of in-field professionals who serve as partners in keeping Penn College's instructional portfolio relevant and responsive. “Concrete is not just a building material,” Reber said. “It has become a material of versatility and beauty.” He and Harry W. Hintz Jr., instructor in construction technology, will be the primary faculty members in the concrete science technology major. Those successfully fulfilling the new major's requirements will be greeted with a variety of career paths, requiring a strong knowledge of composition and application. Those opportunities include such wide-ranging occupations as quality control specialist, highway inspector, research and development technician, decorative concrete specialist, and structural engineer. Graduates also have the opportunity to earn an associate degree in building construction technology with an additional year's study; the new major also transfers seamlessly under the college's “two-plus-two” program into a bachelor of science degree in residential construction technology and management. Students may also pursue an applied management degree, offered via distance learning. For more information, call 570-327-4518 or visit pct.edu/cdt.